Updated Tuesday February 19, 2019 by Ben Prepchuk. 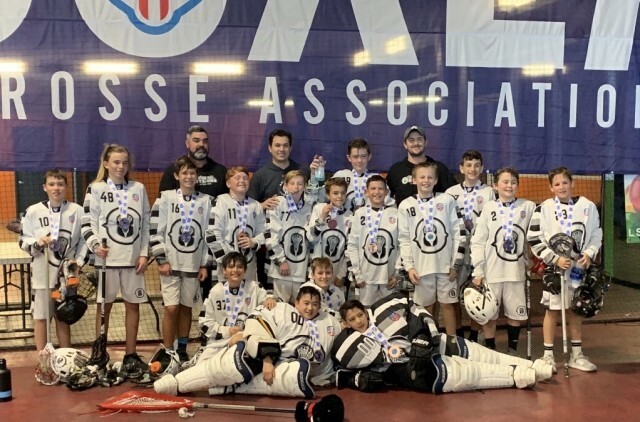 Arizona Outlaws continue to make noise at another Box Lacrosse Tournament! There was a role reversal in this years Vegas Box Invitaional as this years Outlaws swapped medals. This year our PeeWee team was able to walk away with the Gold after last years Silver medal. On the flip side our Bantam team came away with Silver after winning Gold last year going undefeated. We are so very ploud of what we have accomplished in the few short years the Outlaws have been competeing.